Today, Tuesday, October 9th, 2018, is the deadline to register to vote in Pennsylvania for the November 6th midterm elections. You can register online, deliver your registration directly to the county voter registration office, or mail your registration to the county registration office postmarked 10/09/18. 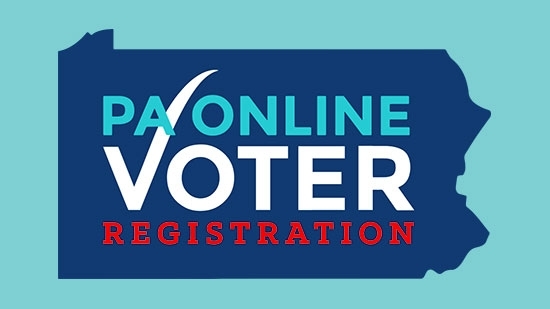 You can find information on how to register online, update your registration, check your registration status, and locate your polling place at https://www.votespa.com. VotesPA is the official Pennsylvania government website run by the PA Department of State. 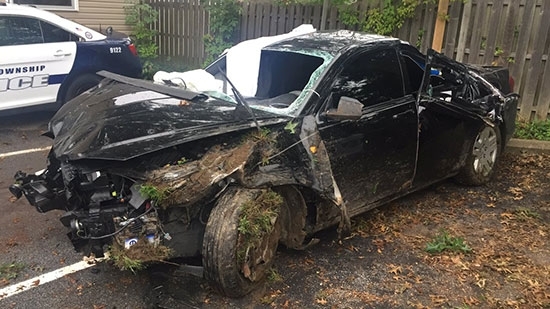 A homeless woman and a teenager suspected of breaking into cars led police in Springfield Township, Delaware County, on a chase early Tuesday, 10/9, that ended in a crash. It started around 1 a.m. when officer responded to a theft on Pancoast Avenue. 25 -year-old Tylesha Cave and her 16-year-old partner were seen by a neighbor breaking into a car. They fled that scene in another stolen vehicle with officers in pursuit. At the intersection of West Leamy Avenue and Spring Valley Road, the suspects lost control of their vehicle. The car hit a tree, went airborne, hit a pickup truck parked in a driveway, and then rolled over on its side. The vehicle came to rest right next to a home where people were sleeping. (see photo of car). After a short foot chase, both suspects were placed into custody. Charges are pending. A 20-year-old woman was shot and killed while sitting in a vehicle in Olney early Tuesday morning, 10/9. It happened around 1:30 a.m. on the 5200 block of Westford Road. Surveillance cameras show the shooter or shooters approach the car which was parked in the back alley and open fire. 17 shell casings were recovered. The woman was sitting in the driver seat and was shot twice in the arm and torso. She was taken to Einstein Medical Center and pronounced dead. Two other men, ages 19 and 22, were in the car but were uninjured. They told police they ducked as soon as they heard shots and did not see the suspect. Police are looking into other cameras in the area that might have picked up on the suspect(s). No motive is known at this time.